Whether you are a wealth manager, financial adviser, planner or banking firm, Model Office is a concept that uses ongoing market and compliance-driven research to benchmark your working environment against 5 keys that demonstrate sustainable and professional best practice. This diagnostic test is the first stage in a process of strategic professional development, which aims to gain a fuller understanding of where the firm is ‘at’ in relation to the key business, people, digital and regulatory development issues. How well you are leading the business through key business functions, individual, systemic and cyber-risks and regulatory directives? How has your brand’s presence, marketing plan and documentation supported the client journey, embraced digital design and involved key stakeholders? Is your proposition robust in assessing investment service and product suitability and appropriateness, and identifying and incorporating new technologies, which are all crucial in meeting UK/EU regulatory and ongoing client needs? Have you streamlined back, middle and front office administration tasks and Client Relationship Management (CRM) activities to interlink, control and share high quality data information? How well have you focused on the level of staff and employee engagement, incorporated social enterprise technology and ensured you have the right people in the right place with the right skills, all of which are crucial to business success and building client loyalty and trust? The results can be used constructively as a means of establishing a collaborative culture for improving business and people performance, increasing client engagement, along with improved Management Information, corporate governance and due diligence thus achieving better business and compliance outcomes and potentially helping with financial challenges such as Professional Indemnity Insurance. Based on our 5 years of research and analysis of the industry, industry and regulatory papers, in each key we have produced a list of statements considered to be relevant to the business workings in this area. A sliding scale will be used for ease of answering and encompass a negative to positive spectrum. 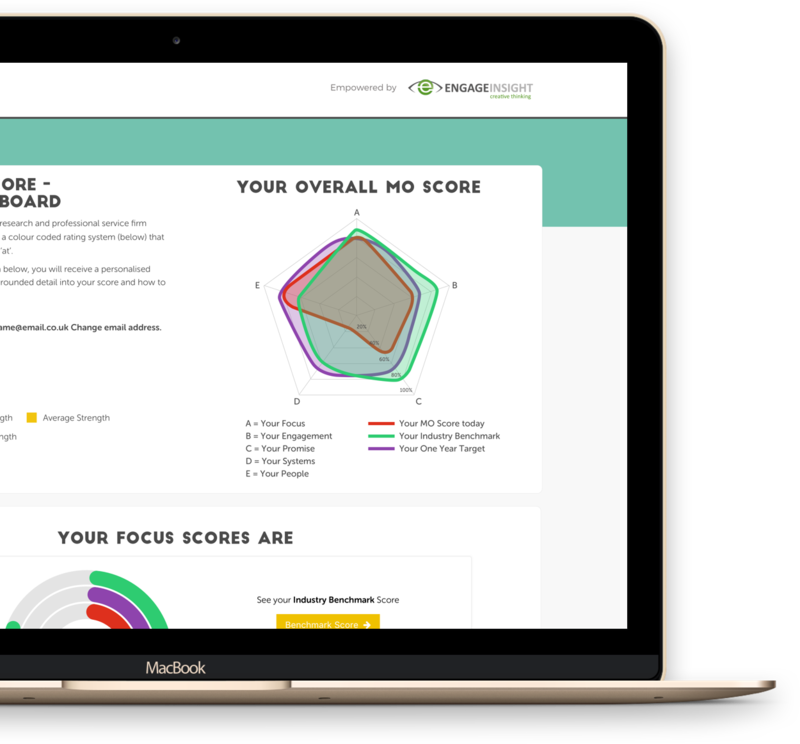 This scoring system is designed to highlight and address biases that may affect your business decisions and influence your business practice. Once you have your results you can learn how to improve your score against our industry benchmark. Our high-level strategic plan will provide insights into strategic action planning and developing a holistic plan to ensure each of the 5 keys calibrate together to ensure your business grows across all 5 areas and meets key stakeholder requirements and expectations, namely your clients and the regulator. I'm MO® your Digital Compliance Assistant. 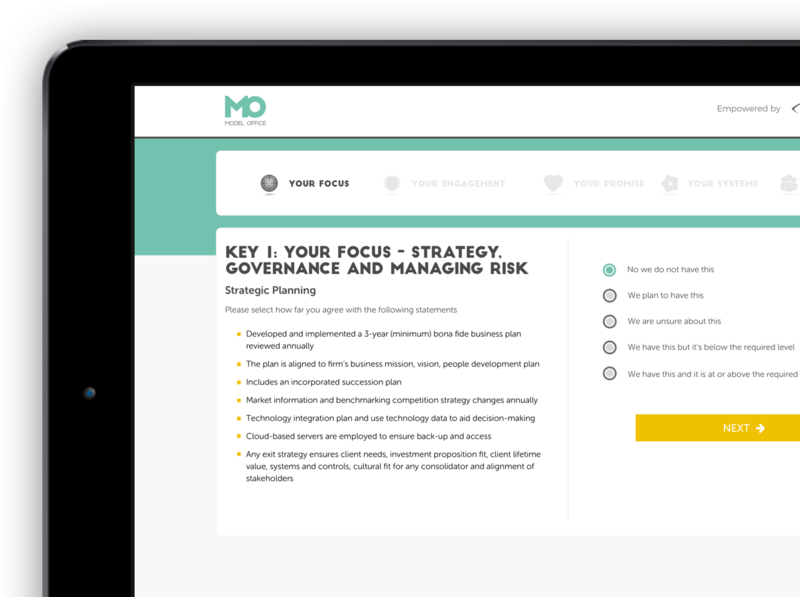 I work on the MO® Enterprise platform where you can chat with me online at anytime and ask me all sorts of questions (within reason, mind) about your compliance and professional development journey. I can interrogate the FCA Handbook, advice suitability or file review requirements, KYC, AML, TCF, ESMA’s MiFID II and much more. I can also talk to certain back office systems to provide a client ‘Suitability Health Check’. My mission is to make compliance more pro-active, prescriptive and yes engaging, whilst saving you time and money, so you have comfort in knowing you’re compliant at all times. So come and join me at MO® Enterprise. See you soon.